A few internet searches lead me to amigurumi. The word means ‘little doll’ in Japanese, with ‘ami’ meaning knitted or crocheted. Anything cute and toy-like counts as amigurumi. There are literally thousands of patterns out there, so deciding what to make can be rather frustrating. 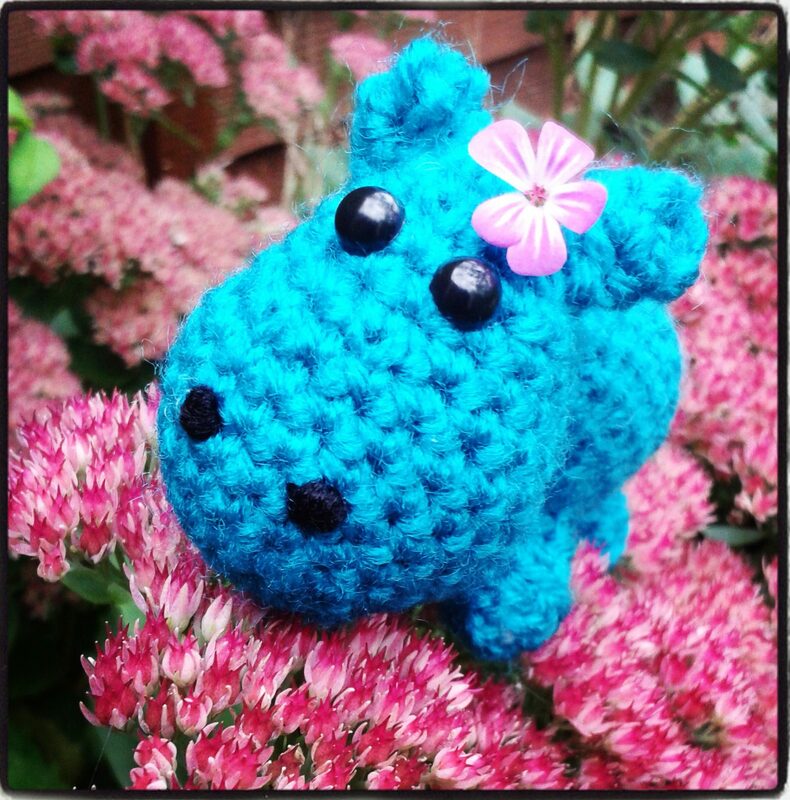 For some reason I was drawn to a clam and a hippo amigurumi, these became my first proper makes. The clam worked out well but as you can see the hippo is looking a little tired now. I clearly didn’t know how to tie off properly as his stuffing is coming out and his little ears are unravelling. I discovered that the reason why I struggled with knitting was because I held everything very tightly, something which I still did with crochet. I had to teach myself to relax a little, but ultimately my technique was suited to making amigurumi as you want tight, neat stitches to hold everything together. And while I also discovered I hate sewing parts together, the feeling I get when I have a finished piece in my hand is sooooo satisfying! I’ve been obsessed with crochet ever since, and I decided to open up my Etsy shop ‘Hippolump Crochet’ as an excuse to keep making more and more things! Right now I’m working on a lilac VW campervan, a caravan and camping scene, complete with rugged mountains! Here are a couple of my favourite pieces that I’ve made so far (and are available to buy in my shop)! Once you get the hang of it, crochet is a very therapeutic hobby. I can easily do it for hours at a time without getting bored, and I’ve managed to tap into a creative streak I’d forgotten I had! It still blows my mind how a length of wool or cotton and a hook can create the most amazing, varied pieces. The only problem I have is deciding which things to make next. This was my little introduction to the wonders of crochet. I’ll be keeping you updated with my latest makes, and you can follow my jaunts on Instagram (as Hippolump), Facebook and Etsy (Hippolump Crochet). Thanks for reading!